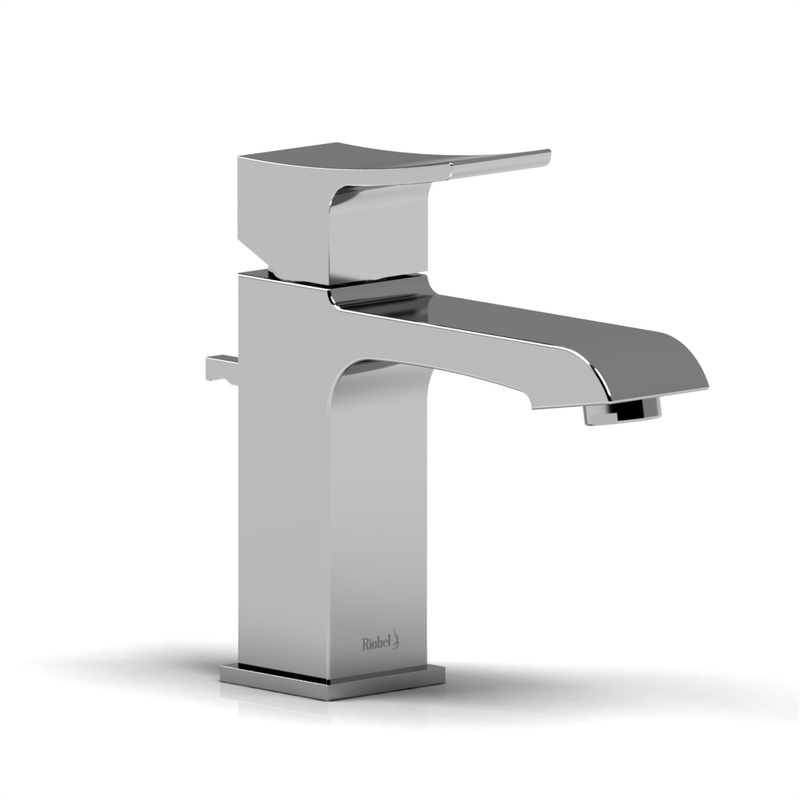 We are the online source for Riobel including Zendo Single Hole Faucet ZS01 with shipping to all across Canada and the USA including Alberta including cities of Calgary, Edmonton, Red Deer, Lethbridge, Okotoks, St. Albert, Medicine Hat, Grande Prairie, Airdrie and Spruce Grove. British Columbia including areas of Delta, Langley Township, Vancouver, Victoria, Kelowna, Abbotsford, Kamloops, Nanaimo, Chilliwack, Prince George, Vernon, Courtenay and muncipalities of Surrey, Burnaby, Richmond, Abbotsford, Coquitlam, Saanich and Kelowna. Manitoba including cities of Portage la Prairie, Thompson, Churchill, Winnipeg, Dauphin, Morden Brandon, The Pas and Steinbach. New Brunswick including cities of Bathurst, Miramichi, Edmundston, Campbellton, Oromocto, Grand Falls, Shediac, Caraquet, Saint Stephen, Dalhousie, Sussex, Sackville Saint John, Moncton and Fredericton. If you are renovating, redesigning your bathroom or simply needing a new faucet, let Riobel Zendo Single Hole Faucet ZS01 add class and style to your Bathroom or kitchen. We also ship to Newfoundland and Labrador including Mount Pearl, Corner Brook, Paradise, Grand Falls-Windsor, Gander, Happy Valley – Goose Bay, Torbay, Labrador City, Torbay, Labrador City, St. John’s and Conception Bay South. Nova Scotia including Counties of Kings County, Colchester, Lunenburg, Pictou, Hants, Cumberland, Yarmouth, Annapolis, Antigonish, Digby, Inverness, Shelburne, Cape Breton, Queens, Richmond County, Guysborough, Victoria County, Guysborough and Victoria County Halifax. Ontario including municipalities of St. Catharines (Niagara Falls, Welland), Oshawa (Whitby, Clarington), Windsor (Lakeshore, LaSalle), Toronto (Mississauga, Brampton), Ottawa (Gatineau, Clarence-Rockland), Hamilton (Burlington, Grimsby), Kitchener (Cambridge, Waterloo), Barrie (Innisfil, Springwater), Sudbury CMA (Whitefish Lake, Wanapitei Reserve), Kingston and London (St. Thomas, Strathroy-Caradoc). And so, if you are looking for a quality faucet at an affordable price, consider Riobel Zendo Single Hole Faucet ZS01 from Bliss Bath & Kitchen. We also serve Prince Edward Island communities of Souris, Alberton, Tignish, Georgetown Charlottetown, Summerside, Stratford, Cornwall, Montague and Kensington. Quebec including cities of Quebec City, Laval, Gatineau, Saguenay, Levis, Sherbrooke, Trois-Rivieres, Drummondville Granby, Saint-Hyacinthe, Shawinigan, Beloeil, Rouyn-Noranda Saint-jerome and Montreal. Saskatchewan including municipalities of Moose Jaw, Yorkton, Swift Current, North Battleford, Estevan, Weyburn, Corman Park, Saskatoon, Regina and Prince Albert. Be it a Traditional, Transitional, Modern | contemporary style faucet at a great prices, consider Zendo Single Hole Faucet by Riobel. I really like it. I have bought it from Blissbath and Kitchen. This Vendor is fast and efficient. I would like to recommend this to others and surely buy anything in Future.